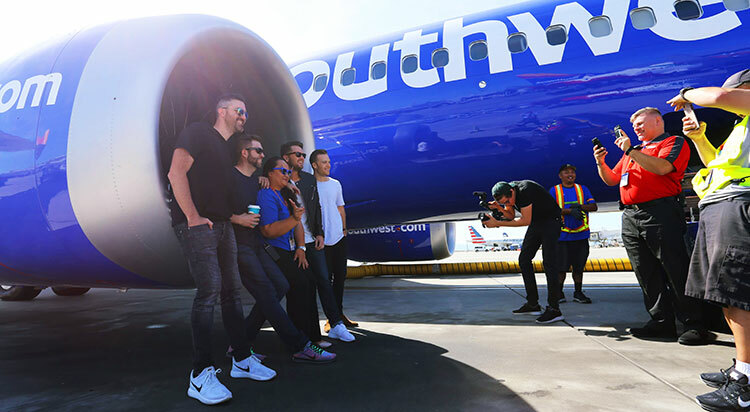 SafetySuit performed the first-ever live at 35 on the newest addition to the Southwest Airlines fleet: The Boeing 737 MAX 8! 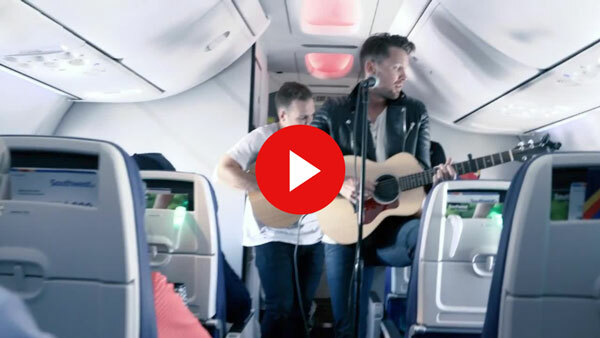 We were the first to play a live concert on a commercial airliner with SWA almost 10 years ago, and we couldn’t imagine a better way to debut new music. The flight was an absolute party that included LED wristbands from Pixmob, autographed giveaways, and even a marriage proposal during our performance of “Never Stop.” The incredable #liveonaplane giveaway resulted in 4 winners getting flown around free on Southwest all day, hanging out with us, and getting the first peek at a new song from the EP releasing 11/15/17. Click below for the video!